ovosoft's Web Design Department provides a variety of web design services and web site development, from graphic art to complete website design. Although we specialize in creating masterpieces from scratch, we will update our customers' existing sites. 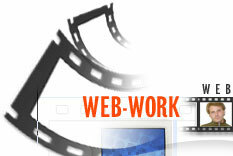 ur goal is creating and maintaining state-of-the-art websites for our clients. ariety is our forte. 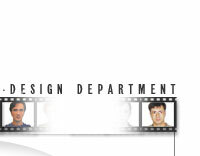 Our Web Design Department has the flexibility to meet all of your design needs. We are able to work on small logo designs and complicated multimedia promo movies, from simple icon series to hundreds of html pages. ur creative approach to web design and our professional attitude allow us to stay on the cutting edge of technology and help us to continuously satisfy all of our customers' needs. In today's marketplace, your business reputation depends on having a well-developed, informative, and efficient web site in the Internet. Now that you have discovered Novosoft, you do not have to worry about such problems anymore. We are able to maintain your websites and are able to help you to maintain your corporate image and style. "Designed by Novosoft" now means "Handmade by talented and dedicated professionals". Copyright (c) 2005-2007, Novosoft LLC.